The OBD 1510 E is a matched pair of compact Ethernet switches designed to extend the reach of electrical Ethernet signals over long distances. The two switches are linked via single bidirectional fiber link which operates at a constant 1Ggit speed. 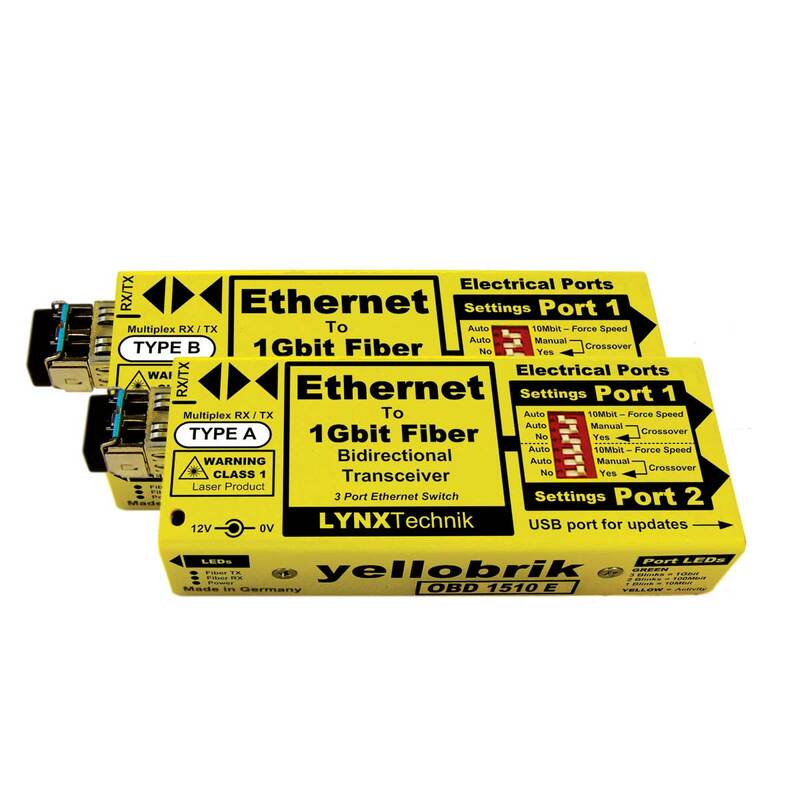 This pair of modules uses WDM fiber technology in a closed loop arrangement and essentially functions as an Ethernet extender solution. The fiber link supports distances up to 10Km and provides a single, high speed 1Gbit error-free optical connection between the two locations. Each OBD 1510 E module has two standard RJ45 electrical Ethernet ports and the complete system functions as a 4 port Ethernet switch, providing two standard RJ45 Ethernet ports at each location bridged with fiber. For legacy systems, each electrical Ethernet port can be set for automatic speed detection (10/100/1000) or forced to 10Mbit. Each port uses auto crossover detection or can be forced manually if needed. These functions are available using the dip switch. Note. This system used WDM optical multiplexing and should only be used in point to point applications. This solution cannot be integrated into a CWDM multiplexed system.